DID GOD PUT ISRAEL IN YOUR HEART...? ⇔CLICK on the orange DONATE button to securely Donate to Pray4Zion's various projects through PAYPAL! PAYPAL has recently changed their format slightly and have made it a comma instead of a period. It is easy once you click on the $ 0,00 then put in the amount until it passes the comma. For example: $0,00 click on it then if want to give say $100 then type 1 and add the 0's until it by passes the comma and then should read $100,00 same applies if say for instance another figure donated i.e. $45,00 just change amount until by passes the comma. It is much like the system used for Microsoft Word Excel where they use comma's instead of a period. Thank you so much for your kindness. Pray4Zion… through the generosity of partners each month we are able to financially support the under-privileged in the local community in Northern Israel by providing food, medication and towards dental needs where most needed and at times assist new immigrants in Israel, having made Aliyah (Jewish people returning to their homeland) to Israel. By being a blessing to God’s chosen people, we as Christians touch the heart of God; "Comfort, O comfort MY people" (Isaiah 40:1). With the escalating cost of living and housing challenging the very core and difficultly living in Israel... many Israeli’s face hardship daily. Your heart - their smile…Thank You for being a blessing to the Needy Families... we are so grateful! Pray4Zion… supports Orphanages and Children’s Centre’s in Israel by breaking the poverty ‘one child at a time.’ This is a very important undertaking and as God is leading us in this direction we believe this will bring great blessings to all who support this worthy cause. God's heart is for Widows and Orphans and this is our heart too! Your heart - their smile…Thank You for being a blessing to the Orphanages and Children's Centres... we are so grateful! Pray4Zion… supports "adopt a child project" by financially assisting underprivileged school children on a monthly basis, towards their school needs throughout the year. God willing, and just as He so wonderfully provided throughout the years and it is our desire to increase the amount of school children and families that we can help this year and in the future. Your heart - their smile…Thank You for being a blessing to the underprivileged school children... we are so grateful! Pray4Zion… through the generosity of our partners we assist 150 Holocaust Survivors. When we help these elderly Israeli's who have suffered so much we hep them to live their lives in dignity. Many have no families as commounities were destroyed by Nazi Germany. We want to ensure that they do not struggle to survive in their remaining years with lack of even basic human necessities such as food, medicine, heat or shelter. Approx. 1/3 of Israel's 200,000 Holocaust Survivors are impoverished, struggling with illness or living alone. They are God’s chosen people. Thank You for being a blessing to the Holocaust Survivors... we are so grateful! 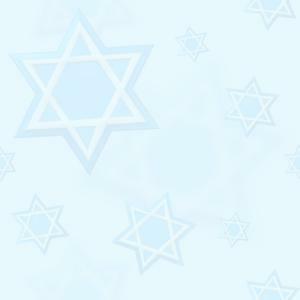 Pray4Zion… supports IDF Soldiers. These young brave men and women devote some of their best years of their lives to protect Israel 24/7. We express our gratitude by financially donating towards "Care Parcels made up of toiletries and other important items" to bless Israeli Soldiers... and at times food parcels for their families in need while they are out their on the frontline defending freedom. Israeli's give two to three years of their precious youth before they are even able to prepare for their own studies and future. They give up so much so that Israel's can raise families with safety and security. IDF soldiers are willing to risk their own lives courting physical and emotional danger so that Israel can be free from terrorism... and in doing so they are not just defending Israel BUT "freedom" and "democracy" in the heart of the Middle East! Your heart - their smile…Thank You for being a blessing to the IDF Soldiers... we are so grateful! Your heart - their smile…Thank You for being a blessing to the Cancer children ad victims of terror... we are so grateful! THANK YOU - TODAH RABAH! When making a donation kindly reference your name so that it can be credited to you and for your TAX EXEMPT deduction.